Last week, the hemp and cannabis markets were abuzz with news that cannabis giant Tilray Inc. (NASDAQ: TLRY) was acquiring Manitoba Harvest for $419 million CAD ($319 million USD). Manitoba is the world’s largest hemp-foods manufacturer, with products in more than 16,000 retail stores throughout North America. For Tilray specifically, the move represents a significant step in its attempt to stake a claim in the U.S. hemp market. In a broad sense, the acquisition reflects the growing trend of cannabis operators’ seeking to acquire hemp companies in aims to stake claims in the ever-expanding hemp-CBD market, and sets the stage for an increasingly competitive and dynamic year for the hemp industry. 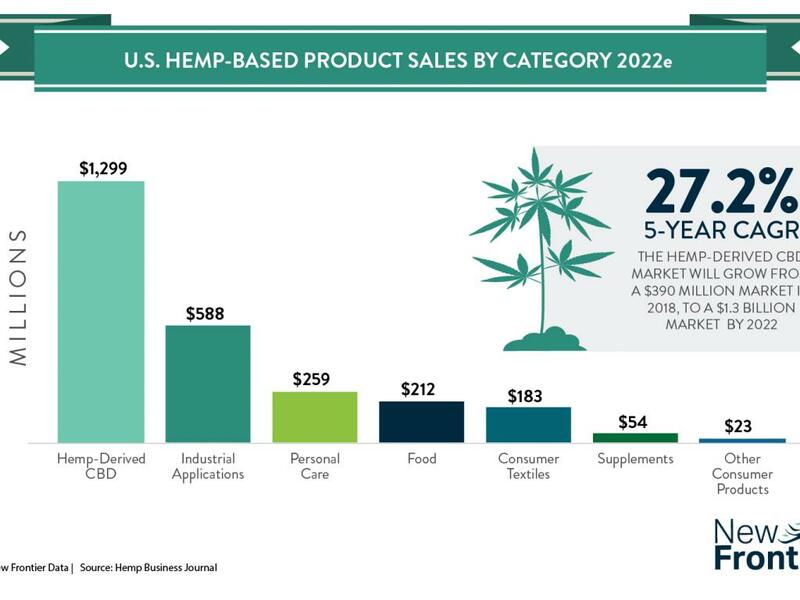 The Hemp Business Journal estimates that sales generated by the hemp-CBD market will grow from $390 million in 2018, to one worth approximately $1.3 billion by 2022. As U.S. cannabis companies continue to struggle under federal prohibition, and as Canadian operators continue to look for ways to grow their brands, the hemp-CBD market presents attractive possibilities. Because of the 2018 Farm Bill, hemp and its derivatives are now treated as agricultural products rather than controlled substances. Per agricultural products, there are far fewer financial and regulatory barriers for companies looking to corner the hemp market, while there exist any number of opportunities for cannabis companies seeking to generate additional revenue from segments such as hemp foods. Hemp-CBD may be considered a hot commodity in today’s market, but regulators throughout the United States and Europe have been slow to embrace its use. In the United States, states are cracking down on businesses that sell edibles products containing CBD, and the U.S. Food and Drug Administration (FDA) continues to send warning letters to companies marketing CBD supplements as health products. Similarly in Europe, the hemp-CBD market is experiencing its own obstacles. Recently, the European Food Safety Authority classified CBD as a “novel food” additive, which means that companies producing CBD-based food products or extracts will have to put their products through a safety evaluation before earning placement in the European market. Hemp food products that do not contain CBD, meantime, have not been subject to the same limitations. That makes Tilray’s acquisition that much more significant: While regulators in both the U.S. and EU take their time determining how to regulate CBD, Tilray will be generating revenue through Manitoba’s existing products. Once the CBD issue is resolved, Tilray will thus be better positioned to pivot towards hemp-CBD. Other cannabis companies have adopted similar models to Tilray’s. One company which has found success straddling the fence between hemp and cannabis is Elixinol Global (OTC: ELLXF). Elixinol Global is the parent company of three businesses: Hemp Foods Australia, Elixinol (which sells CBD products), and Nunyara (a medical cannabis company seeking licensure in Australia). Over the last year, Elixinol Global has seen its sales grow by 121%, to approximately $26 million. 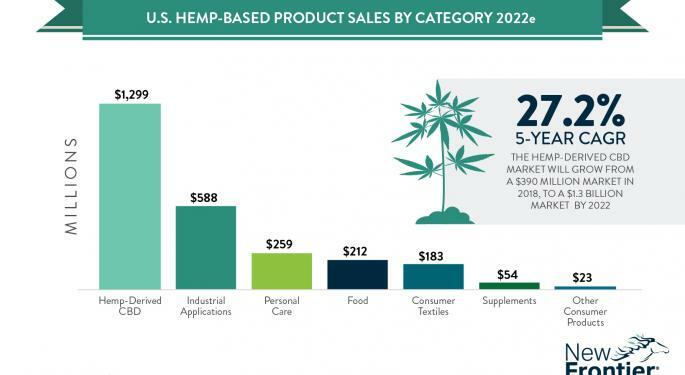 The vast majority of that growth has been driven by sales of CBD products. 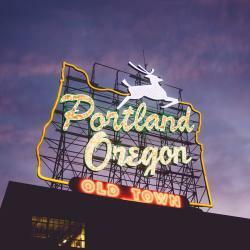 Two of the other biggest cannabis companies (besides Tilray) looking to capitalize on the growth of the hemp-CBD market are Aurora Cannabis (NYSE: ACB) and Canopy Growth Corp. (NYSE: CGC). Late last year, Aurora announced that they would acquire Europe’s largest organic hemp company, Agropro UAB, and its sister company Borela UAB (which processes and distributes hemp) for $9.5 million CAD. Though little has been heard about Aurora’s hemp plans, there are rumors that the company is in “serious talks” with Coca-Cola to develop a line of CBD beverages. If those rumors turn out to be true, Aurora could instantly become a powerful force in the hemp industry. Instead of acquiring an existing hemp company like Aurora and Tilray, Canopy Growth seems to be laying the groundwork for setting up its hemp infrastructure. Late last month, Canopy announced that it had received licensing to cultivate and process hemp in the state of New York. So far, Canopy has pledged to invest $500 million in its hemp production capacity, and hopes to expand its hemp footprint to two more states. While regulators continue to grapple with the question of how to regulate CBD, the cannabis industry is betting big on hemp-CBD. Though no clear leader in this sector has yet emerged, one thing is certain: The hemp and cannabis segments are becoming increasingly intertwined.